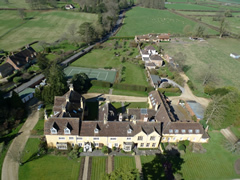 I have been flying a Drone and taking Aerial Photographs commercially since 2009. Even in that short time scale, the market and the regulation has changed rapidly. In this Blog I will being you my take on the Market, craft, regulations and anything else related. Any interesting images that I shoot I'll publish here with a bit of background info. I am aiming for quality rather than quantity so don't expect regular posts although I will endeavour reply to comments in short order. To that extent, all comments will be pre-approved before publication to filter out trolling and spamming. Genuine comments will be as unmoderated as possible, whether positive or negative. The Gallery contains ground-based images and clipart. At the moment there is plenty of chaff amongst the wheat to get it going but I'm also looking to improve the standard of my ground-based photography as well, with the aim of building up a portfolio. We'll see.